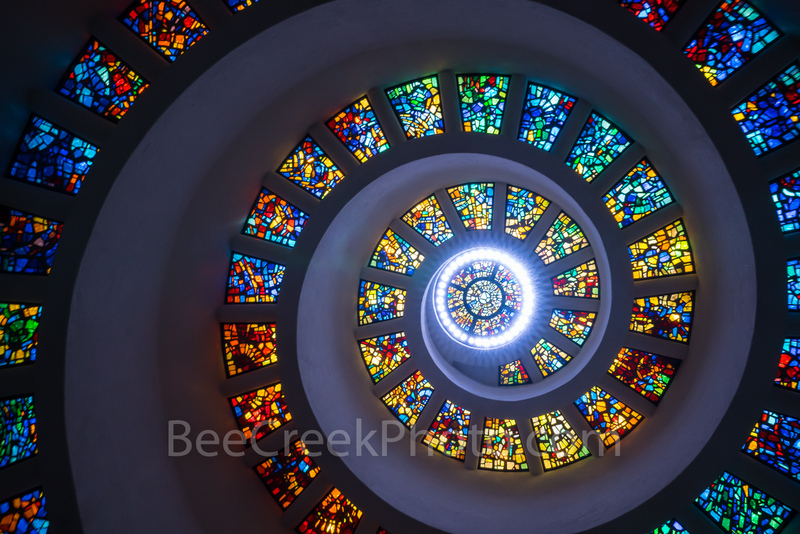 A Dallas Jewel - Thanksgiving Square Chapel in downtown Dallas is a jewel which has these wonderful stain glass ceiling. The Thanksgiving Square is the first private public venture for anchoring the Thanksgiving district of downtown. This is the Chapel of Thanksgiving square which is a non-denomonation chapel and is one part of the park area with water features along with a landscape garden. Dallas stock photos. Photo © copyright by Bee Creek Photography - Tod Grubbs / Cynthia Hestand.